Table Numbers Tent Cards For Wedding Reception / double sided silver Foil Pressed Table Tent Number Cards 1 To 40. Add some dazzle to your reception tables. 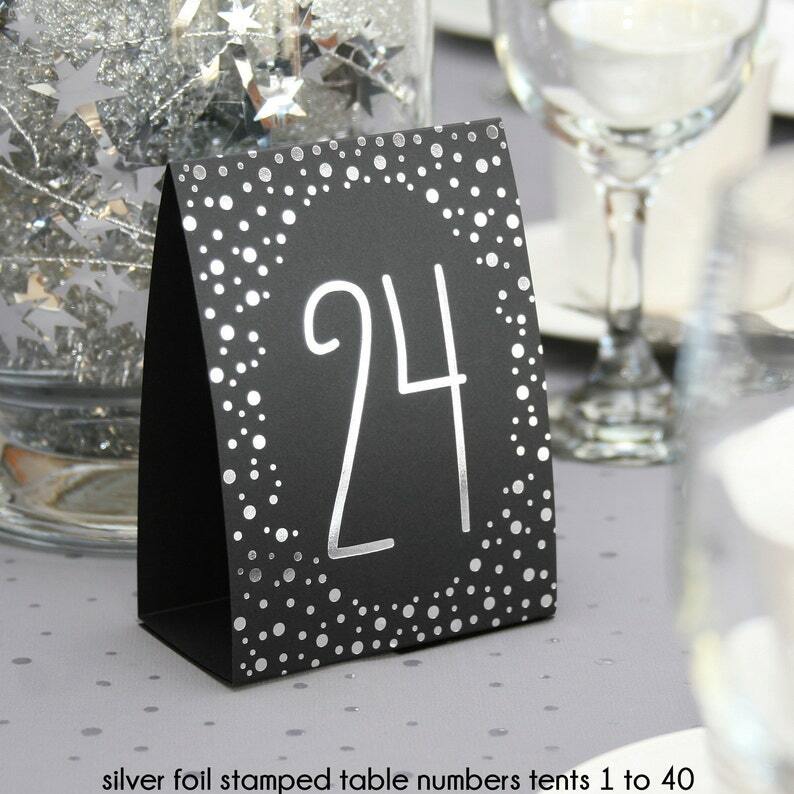 Black table number tents are printed with silver foil dots and numbers 1-40.